By declining to hear the cases, the court allowed claims against Sears Roebuck & Co., Whirlpool Corp. and BSH Home Appliance Corp. to move forward in lower courts. 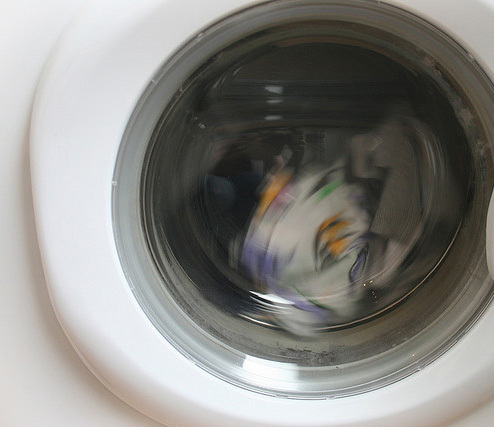 The lawsuits claimed the washers were defective because they emitted unpleasant odors. The Whirlpool case alone concerns 200,000 customers, with the company’s lawyers noting that it is one of 10 lawsuits that, if allowed to proceed, would involve 4 million individual claims. In Whirlpool Corporation v. Gina Glazer, 10-4188 (6th Cir. 07/18/2013) Gina Glazer and Trina Allison filed a class action lawsuit on behalf of Ohio consumers against Whirlpool Corporation alleging that design defects in Whirlpool’s Duet®, Duet HT®, Duet Sport®, and Duet Sport HT® front-loading washing machines (the Duets) allow mold and mildew to grow in the machines, leading to ruined laundry and malodorous homes. This suit and similar suits filed against Whirlpool in other jurisdictions are consolidated in multi-district litigation managed by the district court in the Northern District of Ohio. The Supreme Court of the United States granted Whirlpool’s petition, vacated the Sixth Circuit’s prior judgment, and remanded the case to this court for further consideration. Whirlpool Corp. v. Glazer, 133 S.Ct. 1722 (2013) (mem.). The Supreme Court’s order—known as a grant, vacate, and remand order (GVR)—directed the court to reconsider the appeal in light of Comcast Corp. v. Behrend, 133 S.Ct. 1426 (2013). See Lawrence v. Chater, 516 U.S. 163, 165–66 (1996) (per curiam). The named plaintiffs, Gina Glazer and Trina Allison, are Ohio residents. Whirlpool is a Delaware corporation with its principal place of business in Michigan. Whirlpool began manufacturing Duets in 2002. The plaintiffs’ causes of action rest on the central allegation that all of the Duets share a common design defect—the machines fail to clean properly their own mechanical components to eliminate soil and residue deposits known as “biofilm.” The development of biofilm on mechanical parts in turn can lead to rapid growth of mold, mildew, and bacteria in places inside the machines that consumers cannot clean themselves. Both plaintiffs continued to experience mold growth in the Duets. Neither of them knew at the time of purchase that a Duet could develop mold or mildew inside the machine. According to the evidence presented in support of the motion for class certification, the Duet® and Duet HT® front-loading washing machines are built on the “Access” platform, sharing nearly identical engineering. While all washing machines can potentially develop some mold or mildew after a period of use, front-loading machines promote mold or mildew more readily because of the lower water levels used and the higher moisture content within the machines, combined with reduced ventilation. Plaintiffs’ expert witnesses, Dr. R. Gary Wilson, Whirlpool’s former Director of Laundry Technology from 1976 to 1999, and Dr. Chin S. Yang, a microbiologist, opine that the common design defect in the Duets is their failure to clean or rinse their own components to remove soil residues on which fungi and bacteria feed, producing offensive odors. Dr. Wilson emphasized that the Duets fail to self-clean the back of the tub holding the clothes basket, the aluminum bracket used to attach the clothes basket to the tub, the sump area, the pump strainer and drain hose, the door gasket area, the air vent duct, and the detergent dispenser duct. All persons who are current residents of Ohio and purchased a Washing Machine (defined as Whirlpool Duet®, Duet HT®, and Duet Sport® Front-Loading Automatic Washers) for primarily personal, family or household purposes, and not for resale, in Ohio, excluding (1) Whirlpool, any entity in which Whirlpool has a controlling interest, and its legal representatives, officers, directors, employees, assigns, and successors; (2) Washing Machines purchased through Whirlpool’s Employee Purchase Program; (3) the Judge to whom this case is assigned, any member of the Judge’s staff, and any member of the Judge’s immediate family; (4) persons or entities who distribute or resell the Washing Machines; (5) government entities; and (6) claims for personal injury, wrongful death, and/or emotional distress. Class certification is appropriate if the court finds, after conducting a “rigorous analysis,“ that the requirements of Rule 23 have been met. Dukes, 131 S.Ct. at 2551; Young, 693 F.3d at 537; Daffin v. Ford Motor Co., 458 F.3d 549, 552 (6th Cir. 2006). Ordinarily, this means that the class determination should be predicated on evidence presented by the parties concerning the maintainability of the class action. In re Am. Med. Sys., Inc., 75 F.3d at 1079. To prevail on a claim for tortious breach of warranty (also known in Ohio as strict liability or breach of implied warranty), the plaintiffs must prove that (1) a defect existed in the product manufactured and sold by the defendant; (2) the defect existed at the time the product left the defendant’s hands; and (3) the defect directly and proximately caused the plaintiff’s injury or loss. The claims for tortious breach of warranty and negligent design rise or fall on whether a design defect proximately causes mold or mildew to develop in the Duets. Success on the negligent failure-to-warn claim depends on whether Whirlpool had a duty to warn consumers about the propensity for mold growth in Duets and breached that duty. The district court correctly ruled that these two central questions are common to the entire liability class. The existence of currently satisfied Duet owners in Ohio did not preclude the district court from certifying the Ohio class. Although the class includes those owners who never actually experienced a manifestation of the alleged defect, the class certification was not an abuse of discretion because the class and the named plaintiff meet the elements of Federal Rule of Civil Procedure 23(a) and 23(b)(3). Because all Duet owners were injured at the point of sale upon paying a premium price for the Duets as designed, even those owners who have not experienced a mold problem are properly included within the certified class. Moreover, under the negligent failure-to-warn theory of liability, the plaintiffs need not prove that mold manifested in every Duet owned by class members because the injury to all Duet owners occurred when Whirlpool failed to disclose the Duets’ propensity to develop biofilm and mold growth. In summary, the trial of common questions will evoke common answers likely to drive resolution of this lawsuit. Like all Ohio Duet owners, Glazer and Allison used the washing machines for their intended use and in a reasonably-foreseeable manner. The Duets that Glazer and Allison purchased developed mold growth despite differences in their laundry habits and despite the efforts of service technicians to abate the mold problem. Thus, Glazer and Allison will adequately represent other Duet owners whose machines similarly developed the mold problem. They will also fairly represent those Duet purchasers who have not yet experienced a mold problem. Plaintiffs alleged and argued that all Duet owners suffered injury immediately upon purchase of a Duet due to the design defect in, and the decreased value of, the product itself, whether mold-causing additional consequential damages have manifested yet or not. For these reasons, the district court did not abuse its discretion in ruling that the Rule 23(a) prerequisites of numerosity, commonality, typicality, and adequate representation are satisfied for certification of a liability class only. The U.S. Supreme Court agreed. Trial will now proceed to determine the appropriate damages the defendants in the various suits owe because of the design defect that created an undue and almost certain risk of mold growth and malodors in the machines and clothing washed in those machines. This is true property damage by mold. No one claims bodily injury. They do complain about paying a premium price for a defective product that makes the buyers’ homes and clothing stink. Barry Zalma, Esq., CFE is an insurance coverage attorney, consultant, expert witness, arbitrator, and mediator. His practice as Zalma Insurance Consultants is located at 4441 Sepulveda Boulevard, Culver City, CA 90230-4847, USA. Telephone: (310) 390-4455, fax: (310) 391-5614, email: zalma@zalma.com.